In 1996 the original Farm Homestead was converted into a Restaurant, bar and lodge reception. 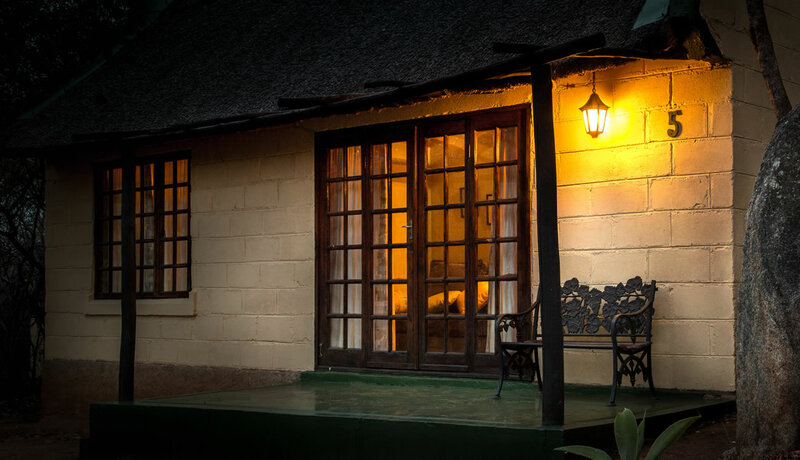 Now known as the Farmhouse, it is located 48Kms from Bulawayo on the Matopos road, in the heart of the Matopos World Heritage site. The restaurant veranda overlooks the indigenous garden and rock swimming pool, where guests can relax by the poolside or spend the evening around the open campfire in the enclosed traditional boma. Breakfast, lunch, and dinner are served in the restaurant, where our chefs specialize in healthy, home-cooked meals which can be catered to personal dietary requirements.. Some days we offer a braai dinner where food cooked on an open fire whilst sitting outdoors on a warm evening under the stars can be enjoyed. 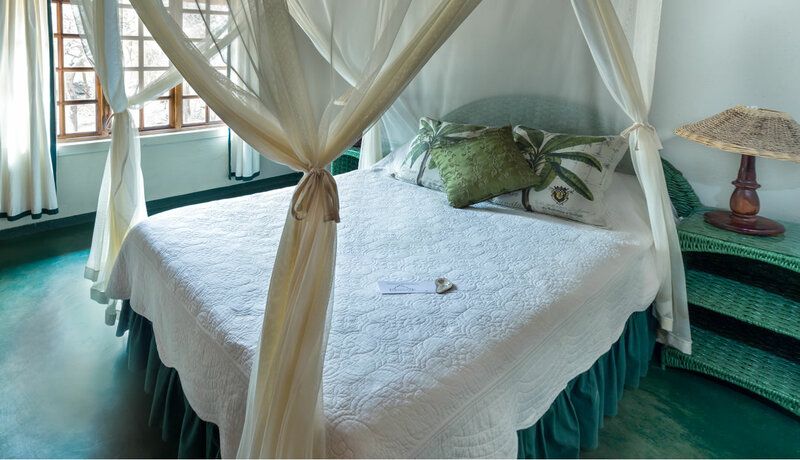 Guests are accommodated in 12 thatched; Cape Dutch style cottages, which are built on the fringe of a majestic granite outcrop. 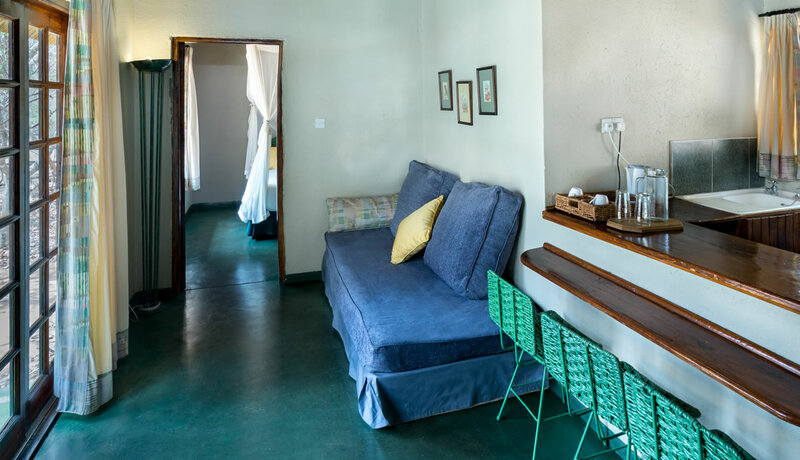 Each individual cottage has a twin bedded, bedroom, en-suite shower, toilet and wash-hand basin, open plan lounge with tea/coffee facilities and fridge. 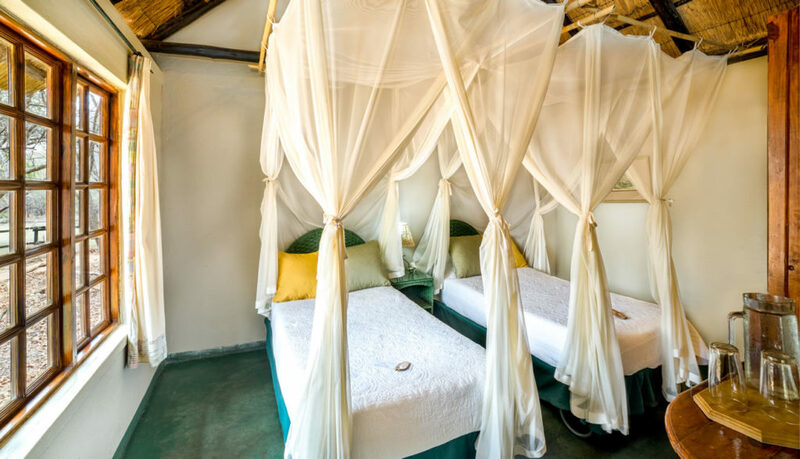 The Farmhouse Lodge and Restaurant provide the ideal location from which visitors can discover the many natural wonders of the Matopos. Guests can participate in the many activities offered at the Lodge or arrange their own trips in the area. The Farmhouse is pleased to announce that we now have a brand new conference facility offering an ideal getaway conference venue in the spectacular surroundings of the Matopos, and only 30 minutes drive from Bulawayo. The conference room is 10mx5m, built under thatch with French doors opening on to the garden and charming courtyard. The Farmhouse offers accommodation for 24 persons, meals in the restaurant, and conference teas and coffees are served in the courtyard. The lodge has basic conference facilities including flip-chart, and computer projector and the lodge is equipped with Wi-Fi internet services.